There were a few things that stood out at this year’s CES. First, let’s take a look at it’s relevance. For the umpteenth time, tech bloggers buzzed over whether or not the show is as important now as it was in years past and whether or not there is a need for a show that focuses on large tech when the trend now is toward apps over devices. Frankly, these arguments don’t hold water. While certain major players (Apple, Microsoft) may choose to remove themselves from participating in the show, and some years the advances in tech are less discernable than others, the Consumer Electronics Show remains, a large, thriving, and necessary event for several reasons. This show was a good one for 3D printing. The technology is coming of age and stepping into its own. Vendors from MakerBot and 3D Systems had smaller booths than say Samsung and Sony but the 3D printing booths were always packed. This technology also attracted the attention of policymakers. FCC Commissioner Jessica Rosenworcel tweeted about it and House Judiciary Committee Chairman Bob Goodlatte expressed interest as well. Interest in this technology will only grow over the near future and it wouldn’t be surprising to see 3D printing take a larger stage at next year’s CES. If consumers want to utilize their technology to its fullest, unleashed, potential, then it is essential that tech advocates foster and develop good working relationships with policy makers and their staff. Take a look at the Smart TV field. Everyone has a smart, Internect-connected TV but these displays will never be truly smart without an AllVid solution. Anything short of this fix is simply a larger, fancier, all-in-one computer monitor. The Smart TV technology is ready for primetime but the policies that should govern this technology are far behind the times. If consumers will ever truly have a Smart TV, it will be because lawmakers and regulators finally make policy more innovative and less restrictive. Tech policy is becoming more important to CES attendees. 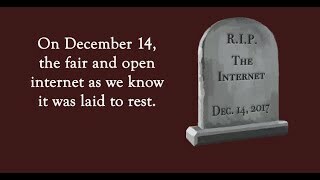 Today is the one-year anniversary of Internet Freedom Day, the day when Internet users rose up, contacted their Members of Congress, and told them to defeat SOPA/PIPA. 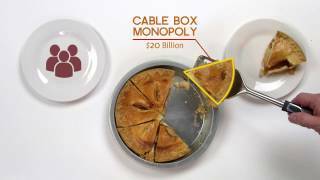 CES 2012 was Ground Zero for the final SOPA/PIPA opposition. Tech enthusiasts were alarmed at how the poorly crafted, nontransparent legislation drafted by the content industry would restrict their abilities to fully utilize the Internet and their technologies. Last year, CES drew over 150,000 attendees. It was the largest trade show in the world based on attendance, and the threat of SOPA/PIPA was on everyone’s minds. Internet advocates and activists had worked for months communicating via e-mails and conference calls to ensure the bill’s defeat. At CES 2012, these advocates and activists coalesced in person. This year the talk was, among other things, making sure that a next generation SOPA/PIPA does not gain any traction or pass in the 113th Congress. No one ever disagrees with Gigi when she suggests that Congress will try to introduce a SOPA/PIPA albeit in a slightly different form. When it happens, we will be prepared. SOPA/PIPA highlighted the incredible disconnect between most Members of Congress and the technology for which they are trying to legislate. Thankfully, more Members of Congress are beginning to realize this disconnect and are working to become more informed on the tech issues that are most important to new small businesses and innovators, as well as to the public. Several Members and their staff flew out to Las Vegas for the show this year not just to see the latest in technology but to learn more about the tech community’s priorities so that they can create better policy that fosters American innovation instead of stifling it. Panels on SOPA/PIPA, patents, the future of video, and the FCC were packed, often standing room only. PK attended a speech Sen. Ron Wyden (D-OR) delivered where he called for a broad technology agenda to encourage what he calls the “freedom to compete.” This direct interaction between policymakers and technology advocates, on the tech community’s home turf, is crucial. The CES environment nurtures these developing relationships and will continue to play an important role for them in the future.